Wow...today was well-spent. I went out to the grocery store and picked up a nice-sized coconut. It had plenty of milk inside and I knew the crabs would love it (me, I'm not too big of a fan of coconut). This time, I decided not to waste all of the shell. Instead, I decided to make this coconut into a cocohut. The steps for this are quite simple, yet time consuming, and you must be VERY careful as even though the shell is hard, it is also delicate. To begin my cocohutting process, I stabbed the dark eyes at the bottom and drained the juice. Then, gently, I took a hammer and created two equal halves. Finally, I had what I wanted. To scoop the meat out, just use a butterknife and pry! Now, to make the door, it was rather a long process. Instead of having a nice little saw, I had to drill holes into the shell to make a nice doorway. Then, using a handsaw, I managed to jigsaw out an okay looking door. Next step: boiling in saltwater for ten minutes and baking at 200 until dry. Not bad, eh? For further information, give me an email at redfoxinc[at]hotmail[dot]com. 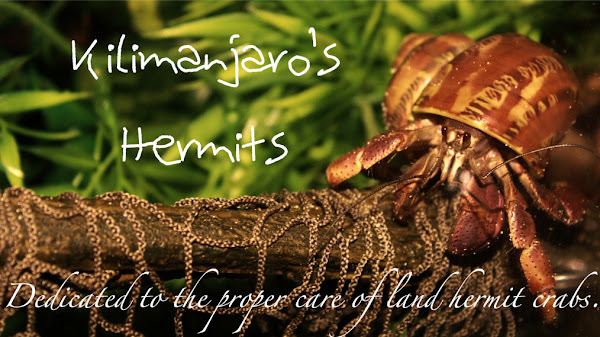 And off topic, I found out that my crabs LOVE EARTHWORM CASTINGS, especially Mako.